Every individual’s addiction recovery journey is different, but the majority of people follow a similar path. The steps that are often involved in drug recovery include reaching a bottom,followed by the decision to overcome their addiction. Then the early stage that involves mental and physical adjustments to life without drugs until it gradually becomes the norm. Along the path, the person works on the problems that led them to turn to drugs in the first place, which helps them to gain more fortitude than they have ever experienced. It is important to remember that everyone is different. It is equally as important for a person going through drug recovery to be honest with themselves about what they are going through and how they are feeling and to use the recovery tools that are beneficial to them. Many individuals end up admitting that they have a problem after a terrible experience occurs, such as losing a relationship or job or an accident after a night out. Regardless of the experience that leads a person to this step, it is important to remember that, despite the fact that hitting bottom is a horrible feeling, things can only get better from here on out. It is both a sobering and empowering situation to be in. Once a person decides to make a change, it is time to start looking for drug recovery options, such as a drug rehab centre. Options for recovery include an inpatient or outpatient drug rehab centre. An inpatient drug addiction rehab centre involves living at the treatment facility that they will receive treatment. This form of rehab allows a person to completely focus on their recovery without any distractions or triggers, which could have contributed to substance abuse. An outpatient drug rehab centre includes scheduled addiction counselling sessions several times a week. Other forms of outpatient treatment include partial hospitalisation and intensive outpatient treatment. These procedures involve visiting a hospital or treatment centre for drug recovery treatment or if required, access to psychiatric care or medical resources. Regardless of which treatment facility a person chooses, it is most beneficial to choose a facility that offers a personalised treatment programme that is customised to an individual’s needs. Once a person has determined their treatment programme, they must commit to it wholeheartedly to increase their chances of success. Regardless of the treatment programme that a person chooses, they will need support and help throughout their journey. It is important to speak with family members and friends about their decision to enter a treatment programme and ask them for support. Isolation or hiding during recovery makes things much harder than they need to be. It can be surprising for those in recovery to realise how much support they have around them. Deciding to become sober is something that people should be very proud of. In some cases, friends and family members may not be the right form of support, such as if they display enabling behaviours or use substances themselves. If that is the case, then it is imperative to build a support group of sober individuals. Therapeutic communities or sober living arrangements can be useful. Additionally, some drug rehab centres even have a sober house where people in recovery can connect and help each other. 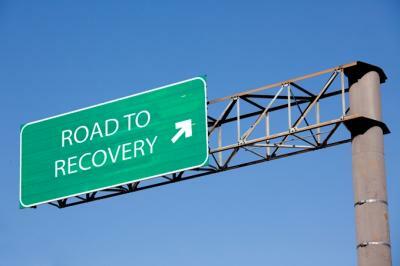 Achieving sobriety and completing a rehab programme are some of the first major steps in the drug recovery process. However, once a person has completed a programme, they still have to continue to maintain their sobriety and avoid relapse. Managing cravings and controlling triggers are essential components. One of the best ways to manage cravings is to actively avoid anything that acts as a trigger, such as by avoiding environments where drugs are prominent and distancing themselves from former drug friends. Furthermore, aftercare programmes can provide continued support after rehab and help a person remain committed to recovery. Examples of aftercare programmes include regular group or individual counselling, support groups, sober houses and 12 Step programmes. Building a new life can take quite a bit of effort, but it is a vital step. Ideally, a recovering addict should become involved in activities that they enjoy and that make them feel important and valid. Once they have completed a drug addiction rehab centre programme, many individuals take up a new hobby while others volunteer in their community. Creating life goals is an instrumental part of step five, along with looking after one’s health by exercising and getting enough sleep and nutrients. Rebuilding a life that makes a person experience less stress and feel better also helps prevent relapse. The final step of the drug recovery process is for a person to forgive himself or herself if they relapse and not to let it interfere with their journey. Relapses provide a learning experience, even though they can be frustrating at the time. They happen for a variety of reasons, so it is best to realise what caused relapse to occur and to continue to get back on the path to recovery. If you or someone you know is battling an addiction, now is the best time to seek treatment and start the recovery journey towards sobriety. The Dawn Medical Rehab & Wellness Centre is an inpatient rehabilitation centre where our clients are taken care of by a licensed team of addiction professionals who use personalised treatment plans and evidence-based techniques to increase your chances of success. We also offers an integrated dual diagnosis treatment programmes for individuals who are suffering from an addiction and a mental health and/or behavioural condition simultaneously. Contact The Dawn today to receive a no-obligation assessment and find out what help is available. You can also call us on one of our toll-free numbers.